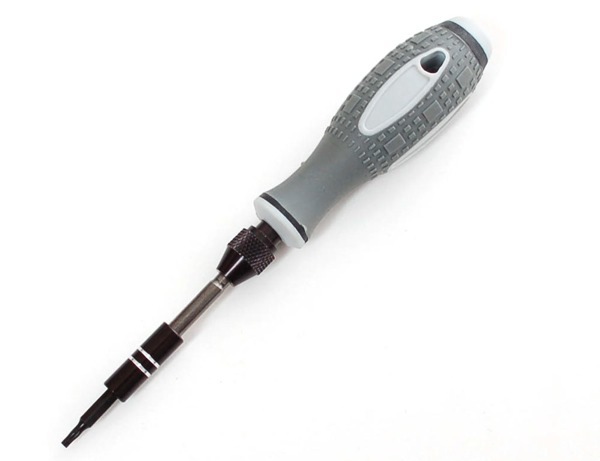 NEW PRODUCT – 38 piece screwdriver set « Adafruit Industries – Makers, hackers, artists, designers and engineers! 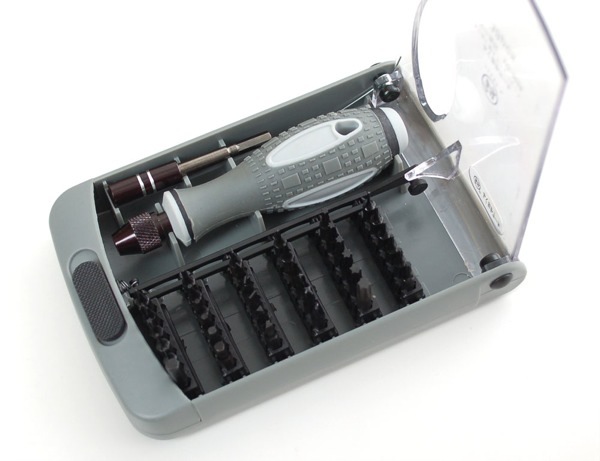 NEW PRODUCT – 38 piece screwdriver set! Look, over there at that thing! Take it apart! 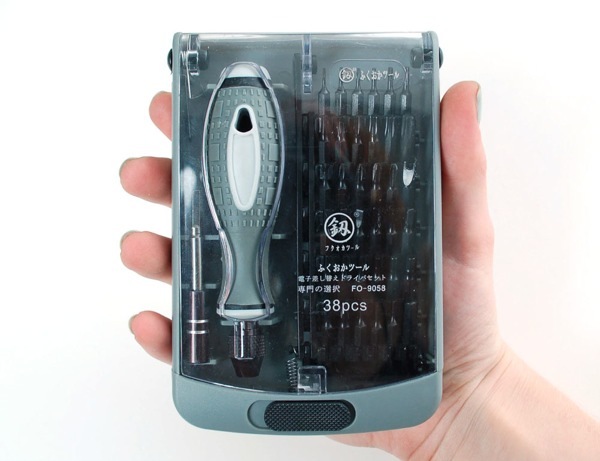 You can now attack just about every kind of box or enclosure that needs undoing with this 38-bit screwdriver set. This set is fine quality and excels at disassembling games, phones, cameras, and other small portable electronic goodies. What drew us to this tool box is its small compact size, the big grippy rubber handle (not a thin or slippery metal grip), the magnetic bit holder (which is not hollow so you don’t have to get annoyed when bits fall through into the handle, tough CR-V alloy steel bits, the very nice box to hold it all and of course the fine selection of bits! Each bit is also stamped with the name/size. Also comes with a 60mm extension so you can get into nooks & crannies. Even has the special “pentalobe” 1 & 2 mm bits. Are these the ones that properly fit the new Apple non-standard “pentalobular” screws??? Wow, this looks really nice. Like the hard bits and range of bit types all in one place. I really appreciate how Adafruit strives to search out the best quality things to sell. I need to pick one of these up next time I order something. Thanks!! !